An Invisible Child is a story based on the heart wrenching experiences of Lenore Ossen. It tells the tale of her lonely and traumatic childhood, growing up with a mother suffering from mental illness; isolated and trapped away from the real world. Deprived of social interaction, friendships and even family relationships she tells the story of how she endured life living within the restrictive and peculiar rules set by her mother, living in a constant state of fear. She describes how at times she hated her mother, yet was constantly trying to please and make her mother happy. 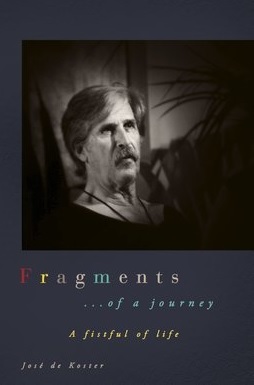 The book is a chronological recount of her life, as she remembers it, with the help of notes her uncle wrote. Her experiences range from sad, to strange and almost unbelievable. Some of the more disturbing experiences include her relationship with her father and her lack of life experiences. Her lack of relationship with her father had an enormous impact on Lenore. She craved physical and emotional contact with him, but rarely received it. When he did show her affection, her mother was quick to put an end to it with cruel comments. Her uncle wrote in his notes that “George was a plain, simple fellow who wanted what all men want: a wife, a home, the love and affection of his wife and child. He had none of this.” Lenore’s chance at a relationship was further compromised when he moved out of the family home. All hopes ended when he died and disappeared from her life altogether -although disturbingly her mother did not tell her for over a year that he had died. As she became a teenager she gained more self-awareness. Lenore became conscious of all the ‘normal’ life experiences she was missing out on. At 14 she had never been on the subway, never played with other children, never purchased anything in a store, never spoken on the telephone or handled money. She writes of her distress as she contemplated all the experiences she should have been having. Although this is a shocking and heart-breaking story, it is also a story of hope. As she grows older, she slowly gains confidence. She pushes herself far beyond her comfort zone, and literally steps out of the apartment. Lenore attempts everyday tasks and teaches herself age appropriate skills for living in society. At times she makes mistakes, however she learns from these as any intelligent person does. She gains the courage and confidence to overcome her life of abuse, showing others that no matter what road you have traveled there is hope for your future. 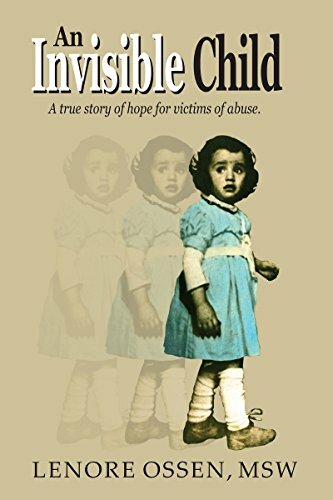 Posted on January 30, 2019, in Book Reviews, Four Stars and tagged abuse, alibris, An Invisible Child, author, author life, authors, barnes and noble, biography, book, book club, book geek, book lover, bookaholic, bookbaby, bookblogger, bookbub, bookhaul, bookhub, bookish, bookreads, books of instagram, booksbooksbooks, bookshelf, bookstagram, bookstagramer, bookwitty, bookworks, bookworm, daugther, depression, ebook, family, goodreads, health, hope, ilovebooks, indiebooks, kindle, kobo, lenore ossen, literature, memoir, mental illness, mother, nook, novel, publishing, read, reader, reading, self help, shelfari, smashwords, story, writer, writer community, writing. Bookmark the permalink. Leave a comment.